We are bringing a little bit of Japan to you on Feb 3rd!!! February 3rd is the day before the beginning of spring in Japan, which is called Setsubun. 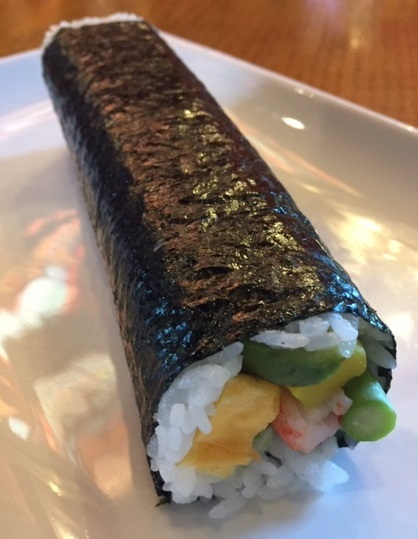 Eho-maki (fortune rolls) are one of the futo-maki (thick sushi rolls) eaten on the night of Setsubun. It is also said to be good luck to use seven ingredients to prepare Ehomaki, in sync with the seven gods of fortune in Japanese folklore. Tradition states that you have to eat the sushi roll uncut, in one continuous go, in complete silence. It gives you time to contemplate your thoughts, or at the very least, quiet down the noise of modern life.